Railway minister Piyush Goyal said last week that the railways would be completely electrified by 2022, phasing out diesel locomotives. Earlier, transport minister Nitin Gadkari decreed that all car production would have to be electric after 2030, heralding the end of petrol and diesel cars. Yet petroleum minister Dharmendra Pradhan wants to double India’s oil refinery capacity, and later take it to 600 million tonnes from today’s 230 million tonnes. Do these ministers talk to one another? Some experts argue that cars are not as important for future oil demand as trucks and planes. True, but last week Tesla chief Elon Musk unveiled a new electric truck with a capacity to travel 800km between electric charges, good enough for many transport routes. Musk said a convoy of three electric trucks would have lower operating costs than a railway. If confirmed, this is a sensational breakthrough. Global R&D aims to produce cheap electric batteries to halve the cost of electric storage. That will further revolutionise electric transportation, and create even electric ships and planes. Boeing and JetBlue Airways already plan to sell a small hybrid-electric plane by 2022. Technological change makes the future of oil bleaker by the day. One analyst, Tony Seba, predicts that world demand for oil will peak by 2020 and then decline. This is too stark. Yet all long-term projections of demand now look dubious. The oil industry will never die completely, but will surely shrink much earlier than expected. Pradhan must rethink India’s demand forecasts, and slash his refinery plans. He has been trumpeting plans for a giant 60 million tonne public sector refinery, built jointly by IOC, BPCL and HPCL, overtaking Reliance’s Jamnagar refinery as India’s biggest. Alas, this is at risk of becoming a white elephant. If bankers are not very careful in financing refinery expansion, they will end up with massive bad debts. Historically, refineries were built close to consumption centres, because the cost of transporting crude in bulk (typically by pipeline or supertanker) was lower than the cost of transporting refined fuels like petrol and diesel (often by truck or rail). Reliance broke that pattern by building a huge export-oriented refinery accompanied by a petrochemical complex. This was a complex refinery able to refine a very wide variety of crudes. The world’s supply of sweet, easily refinable crude has fallen sharply in recent decades. The share of heavy, sulphurous and acidic crudes has increased correspondingly. Old refineries designed for sweet crude cannot process dirty crude. Most refineries buy oil through long-term contracts. But Reliance opted to buy at least 30% of its needs from the spot market. It tracked the spot price of every crude across the globe, and seized opportunities to buy dirty crudes that were relatively cheap compared with the refined products they could produce. This yielded the biggest refining margins in the world. Reliance was able to export a huge chunk of its production. Later, Essar Oil followed suit. 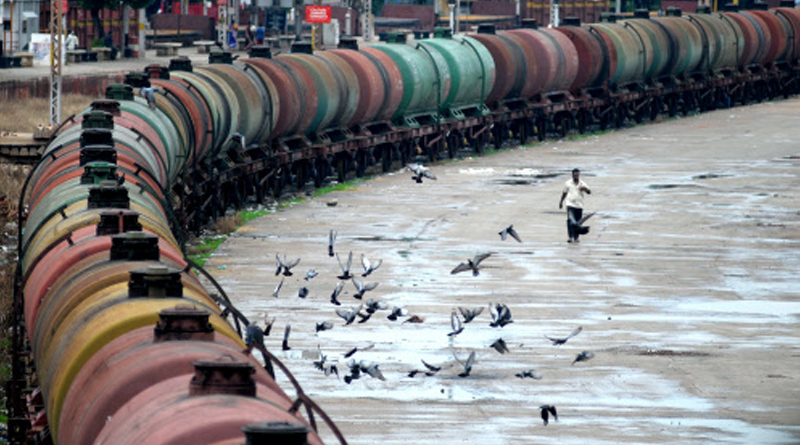 Refined products became India’s largest export. Can Pradhan’s giant public sector refinery do the same? Very doubtful. A private sector manager can detect a price differential and place orders worth millions of dollars immediately. But public sector procedures call for tenders with a notice period, and deny managers the discretion to place huge instant orders based on quick, subjective estimates of possible profit. Such discretion can easily become crooked cronyism, will attract scrutiny by anti-corruption bodies, and make public sector managers reluctant to use their discretion even if allowed to. If the usual tendering procedure is followed, the planned megarefinery will surely lose money on exports. And if world demand for (and price of) products sinks, the losses can become gargantuan. The ministry argues that even if the world demand for oil products slumps, the resultant surplus can be converted to petrochemicals. Yes, but only part of the refined liquids are ideal for conversion into chemicals, and the rest can be converted only at a relatively high cost. Besides, if world demand for oil falls, every refinery in the world will try to convert its surpluses into petrochemicals, creating a huge petrochemical glut that makes everybody unprofitable. It will force massive refinery closures. The ministry must abandon the illusion that petrochemicals offer a simple way out if the oil market collapses. Instead, it should slash its planned refinery expansion. Indeed, it should consider meeting future demand by importing part of its needs rather than trying to set up giant refineries that export surplus production. Why invest massively in a sunset sector?